"Piquentum offers the typical aroma of Istrian Malvasia, Teran and Refošk but in a completely sincere way - I believe in wines that need more time and are able to develop nice secondary and tertiary aromas. There have been big changes towards modernity in Istria in all aspects, but you have to try to understand the grapes, the terroirs and the consumer, and to find the truth. I want to discover the character of this land." Sv. Ivan 3/3, 52420 Buzet, Hrvatska | Vinski podrum Buzet d.o.o. The climate, red and white soils, everything in Istria is perfect for quality viticulture. Istria is the northern edge of Mediterranean, and in the winter it can be very cold when the strong wind bura comes from the north. In September, when usually vintage takes place, it is chilly during the night and this helps to maintain nice acidity and aromas in the grapes. The most significant typical sort is the Istrian Malvasia, a white sort grown on almost two thirds of the entire grapevine plantations extending over this area. The most typical red sort grown in this region is Teran, and also very known is its younger relative - Refošk. For Piquentum, grapes are hand picked and then slowly pressed into tank without temperature control. 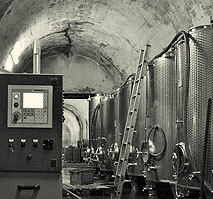 Since the winery is converted into concrete water tanks, the temperature is a constant 10-11ºC all year long. This is perfect for aging, but this is often too cold to get a native fermentation started. Using fans to draw in the warmer outside air to around 14ºC, our wines complete a wild ferment without the use of added yeast, bacteria, enzymes, or any additives. After a long and slow fermentation without stalling fermentation or cold soaks, the wines are bottled and ready to be enjoyed. Istrian Malvasia, maceration for 2-3 days, spontaneous fermentation without cooling, 70% aged in wood (barriques), the rest in stainless steel. Blended in May and bottled in June. Motovun Teran, meceration 2-4 weeks spontaneous fermentation and spontaneous malolactic fermentation, aged in wood (barriques) from 14 to 18 months. Bottled without filtration. Refosk red shank, meceration 2-4 weeks spontaneous fermentation and spontaneous malolactic fermentation, aged in wood (barriques) from 14 to 18 months. Bottled without filtration. 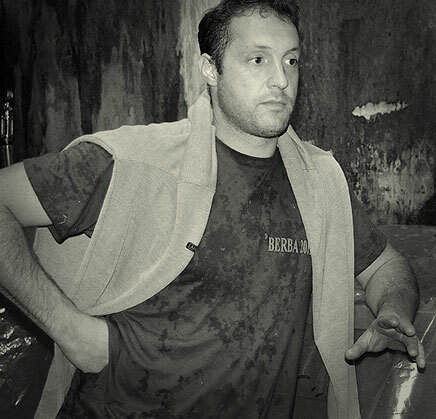 My name is Dimitri Brečević and I am a winemaker born in France. I studied enology in Bordeaux, and then decided to come to Istria, where my father was born. “You have to try to understand the grapes, the terroirs and the consumer, and to find the truth. My mother comes from French small town Jurançon, the region also famous for its white wines, so it is not a surprise that wine has become my love, and my professional orientation as well. After graduation in 2002, I have worked in wineries all over the world (Domaine de Chevalier in France, Canterbury House Winery in New Zealand), and finally, in the 2006, I founded my own winery in Buzet, Istria, Croatia. The wine brand we produce is called: Piquentum (the latin name of Buzet). Piquentum offers the typical aroma of Istrian Malvasia, Teran, Refošk and Rose, but in a completely sincere way - I believe in wines that need more time and are able to develop nice secondary and tertiary aromas. You have to try to understand the grapes, the terroirs and the consumer, and to find the truth. I want to discover the character of this land. The entrance into our winery, just below the hill on which Buzet is settled, might look mysterious. In fact, it is an old Italian water cistern made in the 30s. If the door is closed, the temperature is around 10 – 11 ºC throughout the year. For successful fermentation this is too cold so we use a fan that brings some air from the outside to reach 14 ºC. The winery is fairly incognito from the outside, just a few big doors and an unadorned pergola mark its entrance - but you are very welcome to visit it! Reservation required.